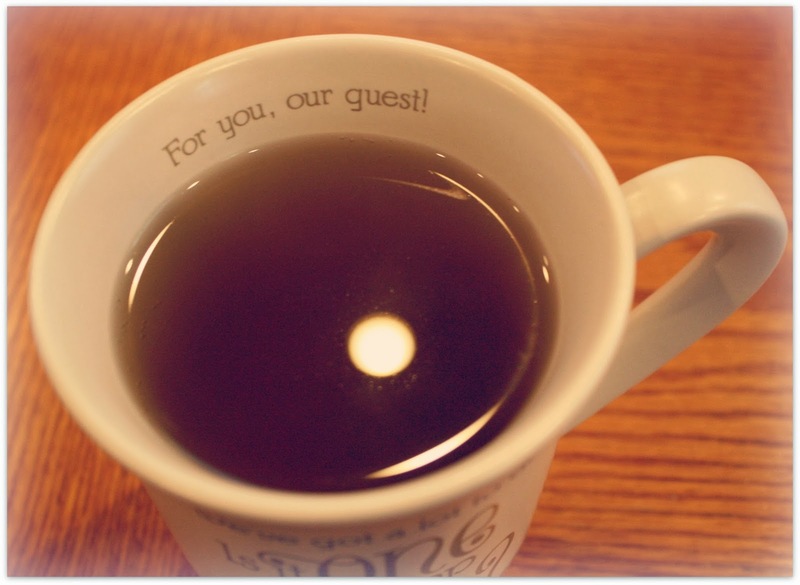 Tonight I just wanted to send a quick blog of some goodies I found while shopping. The first item I was so waiting for is found at Walgreens. They put out these makeup kits last year around the same time. I am very happy they have put out the same kits this year. 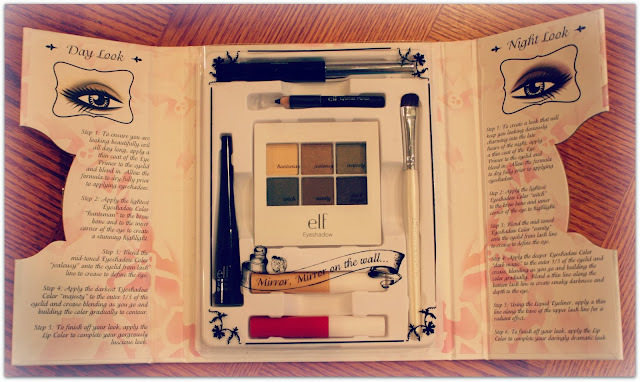 There are these Disney Villain's Makeup kits. They have choices of The Evil Queen, Ursula, Cruella Devil, and Malificent. I purchased The Evil Queen. (Shown in Picture below) These kits have 1 eyelid primer, 6 eye shadow colors, 1 black liquid eyeliner, 1 brightening eyeliner, 1 mascara, 1 lip color, and 1 eye shadow brush. It shows instructions on how to put on the day look as well as the night look. How Cool? Total awesome I say! 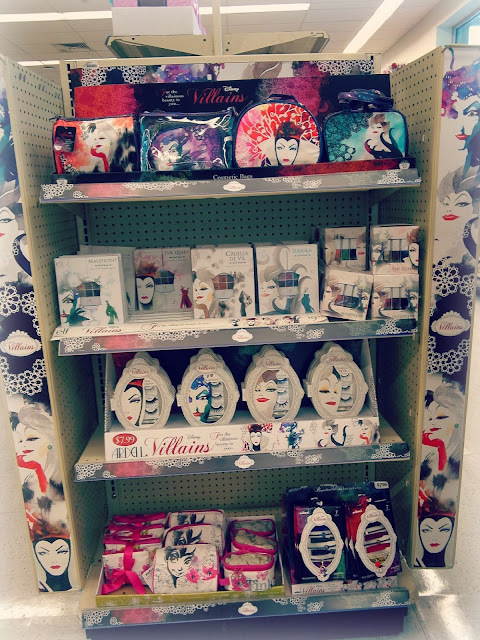 They also had make up bags with the different villains on them, eyelashes, and even hair accecories. I will have to go back and purchase a few more items I believe. LOL The pricing is reasonable also each item is about ten dollars each. Another item I Picked up was at Hallmark. They have some awesomely cute Disney Products!! 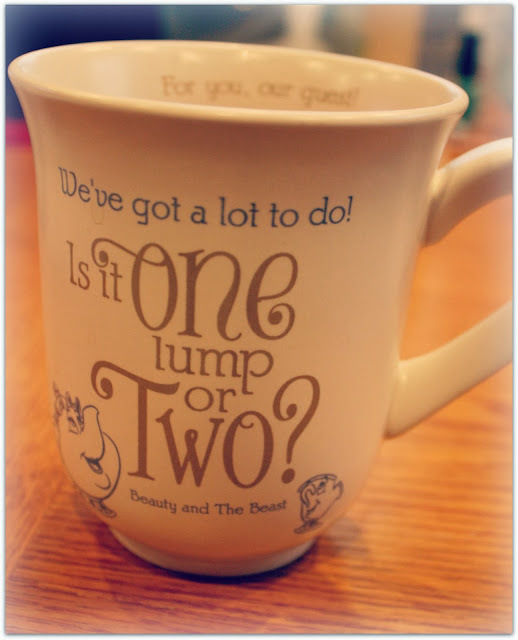 I decided to purchase this Beauty and The Beast tea cup to drink my green tea and honey out of. I LOVE IT!! Awesomeness. Please post pics of you using this makeup set!